The full list of news and events available in Russian and Latvian language only. Sorry for any inconvenience. Ever since the days of Adam the world had lived waiting for the Saviour. From generation to generation the faithful retold each other the God's promise that a Savior would come and crush the head of the snake, i.e. would overcome the sin and free the people from slavery to it, would open again for them the entry into the Kingdom of God, into eternal life. Every year in our church there is a Christmas celebration. 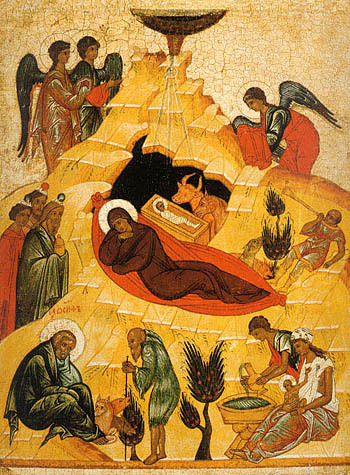 Both children and grown-ups listen to the tale about the Birth of the Saviour.